Here are five unique hikes I highly recommend in Europe. Mulaz (pronouced Mool-ahtz) is located in the Dolomites between Venice and Innsbruck, Austria. A long bus, train or car trip from any mainstream tourist site you’d find in your guidebook, you’re likely to be surrounded by fog, sheep and Italians on these trails. The Dolomites are a part of the Eastern Alps and a UNESCO World Heritage Site. There are several routes you can take but most pass through Rifugio Giuseppe Volpi di Misurata al Mulaz, a busy mountain hut where you can get a nice slice of cake or a warm sip of various local spirits as a reward before you begin your descent. Be prepared for a change in weather – plan on needing protection from the rain and from the sun. Keep your eyes open and you might spot a Stella Alpina, Alpine Star, the Italian name for Edelweiss. For more hikes in Trentino, check out their tourism webpage. I stayed in Imer and the trail head was about a 45 minute drive away. The hike took the better part of the day (I was with people who knew where they were going), so start as early as you can and bring plenty of food and water- there’s no where to buy anything except at the mountain hut. Explore my Italy posts here. You won’t be the only tourist at Montserrat, but you can certainly find a path to yourself somewhere on this dry mountain. A cable car to the monastery brings you to the maze of trails leading in all directions. The paths are well-marked and you should be able to find your way back easily, so feel free to wander around. Bring a big bottle of water in the hot summer and warm gear if it’s going to be chilly. For more info on visiting Montserrat, check out their website. It’s easy to get to from Barcelona by train and cable car- just start your day early. Find more of my posts on Spain here. The Canionul Șapte Scări, Seven Stairs Canyon, near Brașov gets its name from the waterfalls created by each step in the canyon. The tallest waterfall is over 30m high (over 100 feet) and the canyon is lush and narrow. It would be nearly impossible to pass through if it weren’t for the set of stairs and ladders (some more precarious than others) built around each waterfall. This isn’t for the faint of heart and while it’s not particularly dangerous, it is exhilarating. Don’t plan on many photos turning out as there’s not much light in the canyon. Canionul Șapte Scări is just a short drive outside of Brașov and can be done in an afternoon. 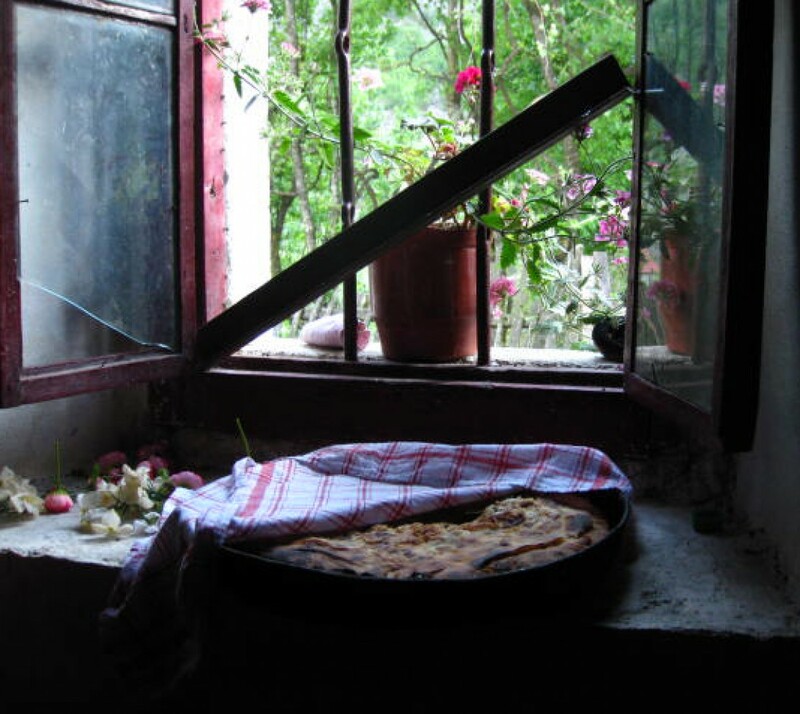 Check out my posts about Romania here. If you’re a true pilgrim, you’ll do this hike barefoot (although it’s discouraged now). I chose to do it with shoes on, but it was still difficult. There’s not much to hold on to on this barren mountain. Most of the trail passes through scree slopes made up of broken chunks of rock. Imagine a mountain covered in gravel and dust. It’s tough to hike up, to say the least. The descent is even more difficult. 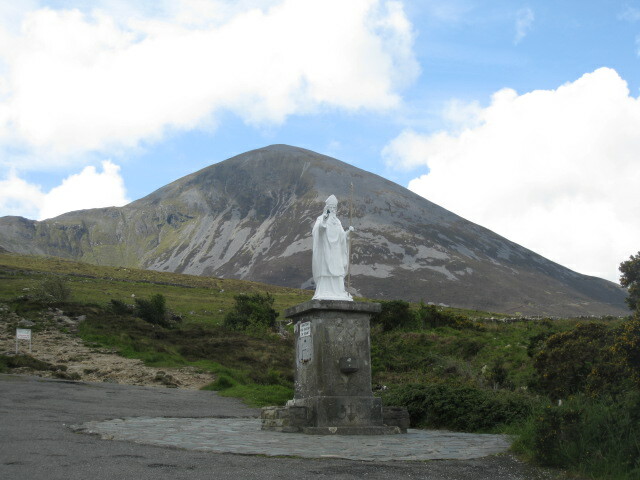 The Croagh Patrick Visitor Centre website has plenty of information and history. I stayed in nearby Westport and took the bus to Croagh Patrick and it took me the better part of the day. More posts about Ireland can be found here. The granddaddy of all European hikes: The Cinque Terre, The Five Lands. Made up of five small towns along the coast of the Ligurian Sea, this is possibly the most photogenic hike you can do (no wonder it’s a UNESCO World Heritage Site). The hike isn’t too straining as it wanders through fields and on the cliffs above the coast, but if it gets to be too much (or if it’s too hot), trains run regularly through tunnels between each of the five towns. Be sure to check for trail closures and plan your meal stops (and gelato breaks) beforehand. The Slow Travel Italy website has information on hiking between the towns. Be sure to check if any trails (or parts of trails) are closed before you set off. I stayed in Genoa and took the train in. Your return ticket should be good for you to hop on and off the regional trains running between the towns, but be sure to ask when you buy it. My posts about Italy can be found here. Definitely, there are many beautiful hikes in Europe, but I think Sheep’s Head Way is a wonderful hillwalkers paradise in Ireland because The Sheep’s Head Way is a fully way marked route with many loop walk activities for those who wish to vary their activity. The trail starts and finishes in Bantry. The island of Ireland was designed by nature to offer the best walking routes. For more information on the sheep’s head way, visit http://www.hillwalkireland.com/choose-your-hike/sheeps-head-way-gentle-hikes.